(Reuters/Frank Augstein/Pool)According to sources, Prince Harry is "smitten" by Meghan Markle. The couple reportedly spend as much time together as their busy schedule allows. Who is Michael Curry, the royal wedding preacher who stole the show at the ceremony? asked The Telegraph, a UK newspaper. The BBC wesbsite headed its story: Royal wedding preacher: Who is Michael Curry? Rev. Michael Bruce Curry, the 27th Presiding Bishop and Primate of the Episcopal Church, spoke about the "power of love" as he addressed the congregation at Prince Harry and Meghan Markle's wedding at St George's Chapel in Windsor Castle, Windsor, on the morning of May 19. He referenced Dr. Martin Luther King Jr. during his passionate, saying: "We must discover the power of love, the power, the redemptive power of love. And when we discover that we will be able to make of this old world a new world." Prince Harry, 33, the grandson of Queen Elizabeth II, married Meghan Markle, 36, an American actress, at Windsor Castle. Each has a new title. 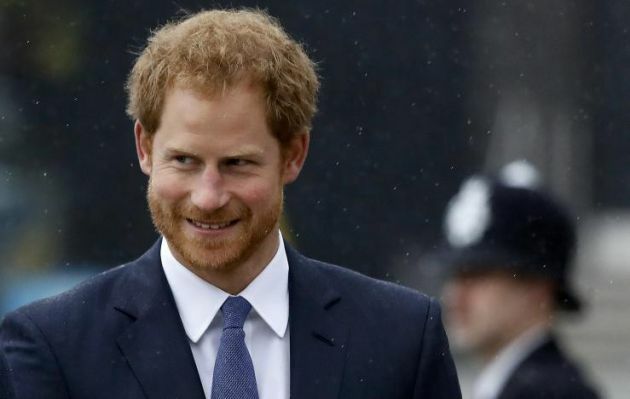 Harry is now the Duke of Sussex, Earl of Dumbarton and Baron Kilkeel. Markle will be known as Her Royal Highness the Duchess of Sussex. Oprah Winfrey was there, The New York Times wrote. So was Elton John, Serena Williams, and the Amar and George Clooney and the Beckhams. The dress was by Clare Waight Keller for Givenchy. "The big moment was the rousing sermon by the Most Rev. Michael Curry," said the Times. Britain's Telegraph wrote, "If the sheer magnitude of the occasion, the unpredictability of the page boys and the vague possibility an uninvited Markle might have smashed through a stained-glass window weren't enough to keep the congregation sharp in St. George's Chapel today, one moment was sure to wake royal wedding guests up: the sermon. "After opening remarks by the Dean of Windsor, David Conner, and before the marriage vows, officiated by the Archbishop of Canterbury, Justin Welby, the assembled guests – plus many millions watching on television around the world – heard a sermon delivered by American preacher Michael Bruce Curry." U.S. pastor Michael Curry fired up Britain's royal wedding on Saturday with some passionate oratory about the importance of love that left Britons used to far more traditional royal ceremonies bemused, Agence France-Presse wrote. Curry is the first African-American leader of the U.S. Episcopal Church, and opened his sermon in front of Prince Harry and Meghan Markle in St George's Chapel at Windsor Castle by quoting Martin Luther King said AFP. With rhetorical flourish, the 65-year-old Episcopal bishop from Chicago said: "There's power in love. Don't underestimate it. Don't even over-sentimentalize. There is power, power in love. "I'm talking about some power. Real power. Power to change the world," said Curry. Curry also referred to slavery, mentioning the healing power of the spiritual music sung by slaves. The Archbishop of Canterbury described the U.S. bishop's wedding sermon for the royal wedding as so powerful that it "blew the place open". Speaking to Sky News, as he stood next to Curry, Justin Welby said: ""I think what we saw in that is that preaching is not a past art. That the use of language to communicate the good news of Jesus Christ just blew the place open." Both clergymen acknowledged that the preaching style hadn't been seen on the grounds of Windsor castle or at a royal wedding.